Coopetition approach offers a new centralized and efficient solution by introducing cooperation among marketplaces. 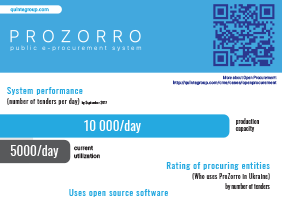 Ukrainian ProZorro project united more than a dozen of marketplaces and commercial platforms and gave them access to the database of public procurement requests via OpenProcurement API. Online marketplaces have seen rapid growth in recent years. Being an intermediary, matching buyers with sellers, they cater to specific product niches, countries, and regions. They proliferate because a marketplace offers a small retailer an opportunity to establish an (inter)national presence by eliminating the cost, commitment, and red tape that accompany selling direct. Marketplaces have already or will soon become a major force in any industry, so they need to choose the way of further development: competition (to which expanding of offered product range or geographical reach inevitably leads) or cooperation. There is also a third way - preserving both options and entering new market of public procurements. 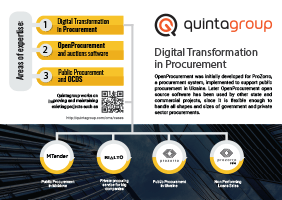 OpenProcurement toolkit has been designed based on such approach. 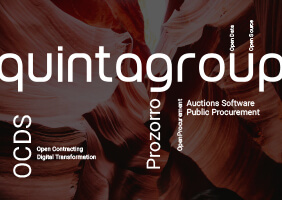 Ukrainian ProZorro project united more than a dozen of marketplaces and commercial platforms and gave them access to the database of public procurement requests via OpenProcurement API. Coopetition approach offers a new centralized and efficient solution by introducing cooperation among marketplaces. In order to access a whole new market they have to coordinate and follow the same standards. On the other side of the coin, each of them already has its customer base and constantly competes for new clients. Such competition encourages marketplace to improve its services.